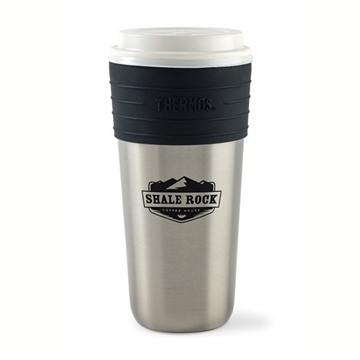 Turns most standard 16 and 20 oz coffee shop cups into an insulated travel tumbler. 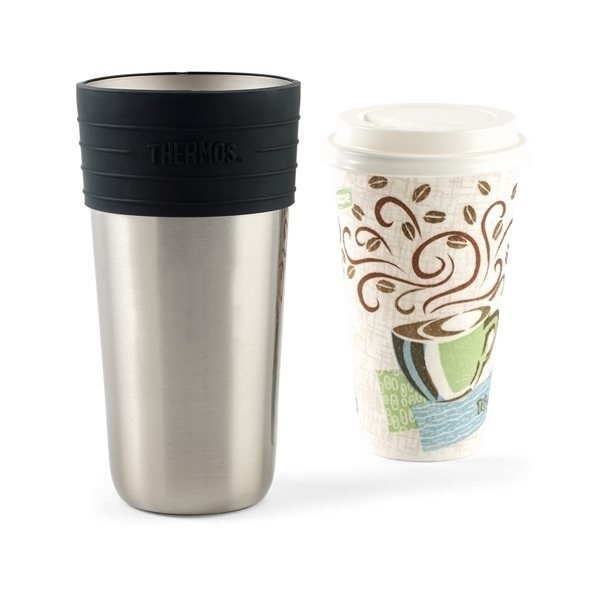 Great for keeping beverages hot 3x longer than a plain, non-insulated cup. 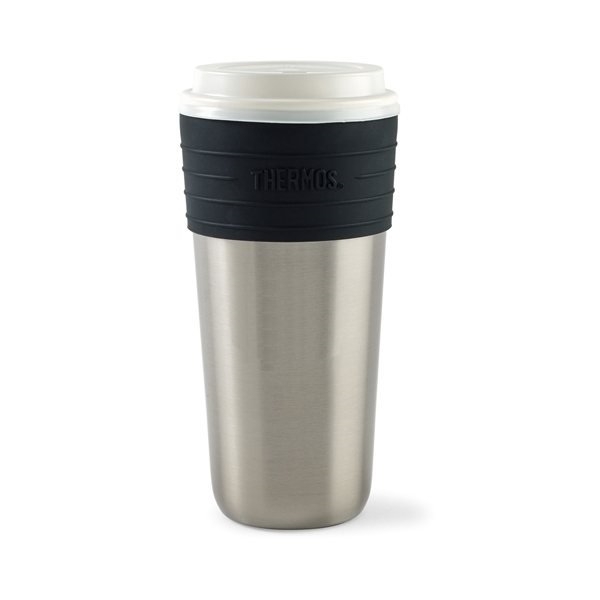 Silicone grip keeps cup in place. 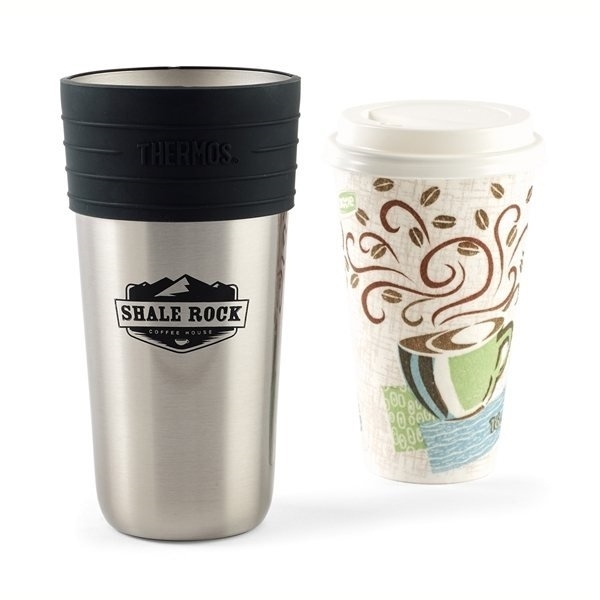 Coffee shop cup merchandised in insulator serves as retail POP. Keeps hot for 2 hours. Keeps cold for 10 hours.